I have already started scouring the internet for next summer's holiday flights and it seems there is already stiff competition among the low-cost airline operators to offer holidaymakers the best deals. One new operator that you might overlook is Norwegian, but they already have some great deals. 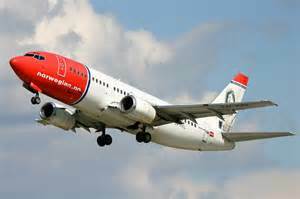 Norwegian, the low-cost airline, hopes to begin flights from Britain to Asia, South America and South Africa after being granted a UK Operating License.It will launch a subsidiary, Norwegian UK, early next year, enabling it to take advantage of Britain’s bilateral air traffic agreements with countries around the world. Unlike Ryanair and EasyJet, whose aircraft are only capable of short-haul services, Norwegian is committed to a long-haul strategy. 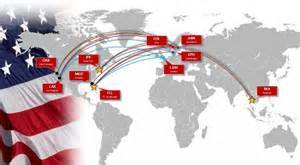 It has eight 787 Dreamliners, with a further 30 on order, and already operates direct services from Britain to a handful of US destinations, including Fort Lauderdale, New York and Los Angeles. It also offers flights to Dubai and Bangkok from its bases in Scandinavia. While the low-cost long-haul model had previously been dismissed as unworkable - Laker Airways, Zoom and Oasis Hong Kong all tried and failed - falling fuel prices have helped revive the idea. 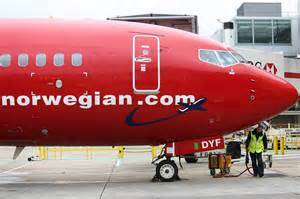 Norwegian's rivals include WOW Air, the Icelandic budget carrier, which introduced transatlantic flights this year, luring customers with selected fares of £99. It will begin flying to LA and San Francisco in 2016. Ryanair has frequently claimed it will offer flights to the US once it secures the long-haul fleet required to do so; Air Asia X, the low-cost arm of Air Asia, briefly flew from Europe to Asia, and has stated its desire to relaunch services. Jetstar already offers no-frills flights from Australia to destinations including Japan and Hawaii. However, Norwegian's long-haul launch was not without incident. On one of the first flights to New York, passengers complained that they were left without food, drinks and blankets for up to 12 hours, as the airline would only accept credit cards, not cash. It subsequently announced that passengers would be served free water on long-haul flights. In the meantime, my advice is to shop-around for the best deals on flights, whether it is long-haul or European flights, but look beyond the obvious cheap-deal operators like Ryanair and Easyjet. There are new operators like Norwegian and WOW Air that deserve a try!